About USD 5 billion has been committed to supporting REDD+, much of it through bilateral assistance by Norway, but that is only a tiny fraction of what is needed. The United Nations Environment Programme estimated in September that USD 17-40 billion would be needed annually to halve emissions from the forestry sector. MANILA, Philippines (15 November, 2011)_Antonio La Viña, who facilitates REDD+ negotiations at the U.N. climate change summits, said that while he is optimistic of progress at the upcoming talks in Durban there are three main negotiation sticking points that could slow a program to safeguard the world’s forests that are major stores of greenhouse gasses. La Viña has been involved in the global talks on REDD+ since 1995, first as a negotiator for the Philippines, and much later as a facilitator in the REDD+ LCA (Long-Term Cooperative Action) process. This year he has facilitated meetings of REDD+ technical experts. He has written numerous papers on the negotiations and is a regular speaker on the topic, including at Forest Day, a major conference held annually on the sidelines of the U.N. climate summit. La Viña is based in Manila, where he is Dean of the Ateneo School of Government. REDD+ stands for Reducing Emissions from Deforestation and forest Degradation. It could see rich countries pay developing ones to protect, restore and sustainably manage their forests. Supporters of the program say it offers one of the cheapest options for cutting global greenhouses gases. Forests play a major role in the sequestration of greenhouse gasses. There is a range of estimates, but research published in August in the journal Science (read a press release on it here) says that the world’s established forests remove 2.4 billion tons of carbon per year from the atmosphere – equivalent to one third of current annual fossil fuel emissions. In addition to serving as a large carbon sink, the new research says that deforestation itself is responsible for emitting 2.9 billion tonnes of carbon per year, underscoring the urgency to slow the pace of deforestation and forest degradation. Countries at the 2010 U.N. climate talks in Cancun, Mexico, agreed to include REDD+ in the U.N. Framework Convention on Climate Change (UNFCCC), but many of the details of how the scheme would work were left unanswered and this is the challenge now facing negotiators who will meet for the 17th Conference of Parties in Durban from November 28 to December 9. La Viña said that while to a certain degree REDD+ financing is being “held hostage” to a legally binding and overarching climate change mitigation framework, there are multiple options to moving ahead. “I think you can do a double track, even a triple track to moving forward on REDD+ and financing REDD+. In fact, that is the essence of the discussions so far that I have been having in the groups that I facilitate. People are saying, ‘look here is REDD+, REDD+ is a menu of activities, there is also a menu of financial resources to finance those activities. You can have the multilateral activities, the Green Climate Fund, you can have bilateral funds, you can have national funds, and there is even an opening at this early stage of the private sector finance.’ Not necessarily carbon markets, we always clarify that. Probably the world is not ready right now, certainly not with a full-blown carbon market, or REDD+ carbon market. That is only possible if there is a full-blown overall carbon market. So that is not going to be there for a long time. But private sector finance has a role to play as well. “I am more in favor of broadening the discussion around private sector finance in general and what might motivate the private sector to come in – anywhere from corporate social responsibility to predictability of products that can come out from forests. La Viña said that while there is “broad agreement” on the principles of what REDD+ safeguards should look like, negotiators are yet to find common ground on how the implementation of those safeguards should be reported. He said there are three types of safeguards: “They are essentially social safeguards, so the protection of indigenous people’s rights, of community rights, of the rights of stakeholders, a right to information, those types of things. There are governance safeguards related to transparency, accountability, anticorruption. And there are environmental safeguards related to environmental integrity, protection of biodiversity, etc. That is agreed. No need to do anything else for that. “But what is not agreed or what is not developed and therefore agreed is the system in which countries report how they are implementing their safeguards. So that is being negotiated now. “It is not as easy as it looks. What kind of reporting countries will do, who will do the reviewing? Obviously there is tension between the countries. There are those that say that countries should just unilaterally report what they are doing with safeguards. Others say, ‘no, no, there needs to be some kind of format for the reporting, some kind of review’. Another challenge in Durban will be to find consensus on a system to monitor, report and verify carbon emissions in REDD+ projects, La Viña said. “That is less advanced than safeguards, not because we did not pay attention to it, but because it is a much more complex and difficult issue. … The truth is that many countries are not really prepared to implement an MRV system,” he said. Observers say that one of the issues being discussed is whether countries should be required to use a method known as “REL” (reference emission levels) or “RL” (reference levels) in reporting carbon emissions. REL in essence represents a type of gross accounting, while RL is closer to a type of net accounting. Researchers say that given that activities included in the “+” in REDD+ have the potential to generate carbon sinks, accounting based on the RL appears to make the most sense. However, because of the generally limited capacity to monitor forests in developing countries and problems converting deforestation rates into greenhouse gas emissions, a phased approach to REL/RLs may be required. For example, some observers suggest that countries could use forestry data from the U.N.’s Food and Agricultural Organization during the initial readiness phase of the program and progress to estimates that are more accurate with better quantification of uncertainty as they move into early action and full implementation phases. However, La Viña said there was an even more challenging issue to deal with. “The real key question is not so much REL or RL. It is really how countries politically now will choose their baselines. That is not going to be a technical question. There are technical issues around it. But it will eventually be a political question. How do you take into account national circumstances, unique circumstances? Do you actually even compare between countries? La Viña said that failure to agree on MRV could undermine REDD+ in the medium term. “Well it will in the sense that countries will be on their own in how to design and develop their MRV systems. It would keep uncertainty in the next phase. 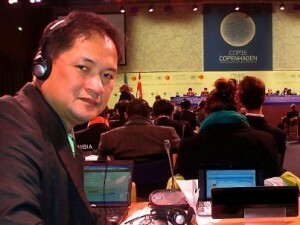 Ideally for me, countries should really fast-track in 2012 the development of the REDD+ systems and programs. And it’s not going to take a year. It’s going to take two or three years. So the less uncertainty there is, the better it is for countries. And the better for donors and the better for investors,” he said. At last year’s U.N. climate talks, the negotiations were almost derailed by objections from a tiny number of countries. Some observers have criticized the rules for the negotiations, especially a requirement for reaching consensus among all countries before a decision can be made. La Viña acknowledged that this was a challenge, but said the tone of the talks have improved in the past year. But he said there were limits to what the UNFCCC process could achieve. “I have been in this process for nearly 20 years. I am really open to saying that this is a good process. It has a role to play but maybe there are other processes we should consider to solve various parts of the problem of climate change. And for forestry I think it is true. The REDD+ finance framework within the UNFCCC is important and it is there. But to think that everything that happens on REDD+ will happen under the UNFCCC, I think it is not desirable, even from a financial point of view or a practical point of view. Christiana Figueres, Executive Secretary of the UNFCCC, reportedly told journalists late last month that the Durban talks “is not the best time to be talking about finance because all developed countries are in a financial crisis” – a opinion shared by La Viña. “Our partners have not really used the financial crisis as an excuse not to deliver what they have promised, but you know it affects budgets and what countries will be able to commit over the long-term. So the real impact is not so much the numbers, but the psychological impact,” he said. “We realise that there’s actually not that much money for this. … If we can’t rely on the budgets of national governments, where else do we turn to? That’s why it’s important, not just for REDD+ finance or for mitigation, but even for adaptation: how do we involve the private sector and in a way that there are safeguards as well? “If the talks in Durban are able to resolve this, able to have a framework on private sector participation in climate, in a way that is transparent, accountable and just, that would be a big advance,” La Viña said.